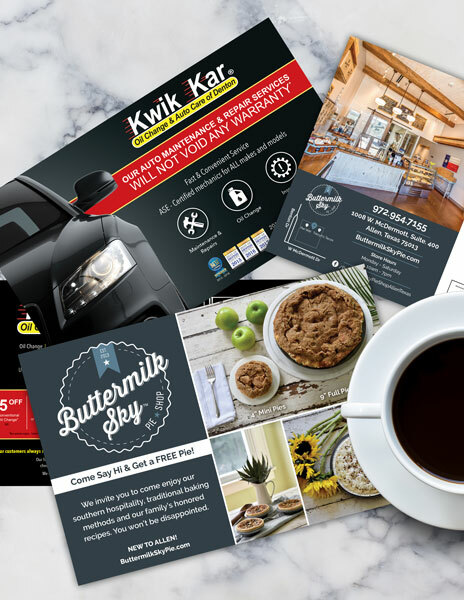 If a direct mail campaign is one of your marketing initiatives, Murray Media Group is your best solution! With decades of experience in media, advertising and printing, we have processed millions of pieces of direct mail for our customers. We begin with the secure management of your data, followed by our award-winning print production and finally the delivery of your direct mail marketing right into the hands of your recipients through the USPS system or any other delivery method you choose. We make it our business to understand the USPS business! We are experts of the ever-changing USPS rates and regulations – keeping up with the most cost-effective solutions for your individual projects. Direct mail service can include a variety of materials including postcards, letters and brochures to garner consumer responses. Direct mail marketing in the DFW area has never been easier than it is today! We are your resource for everything Direct Mail! From traditional copying and offset printing to digital, direct-to-plate and variable printing, we have the technology and experience to help you get just what you need, when you need it. Pricing includes professional graphic design, finishing, fulfillment, and mailing services on all of our printing and direct mailing services. 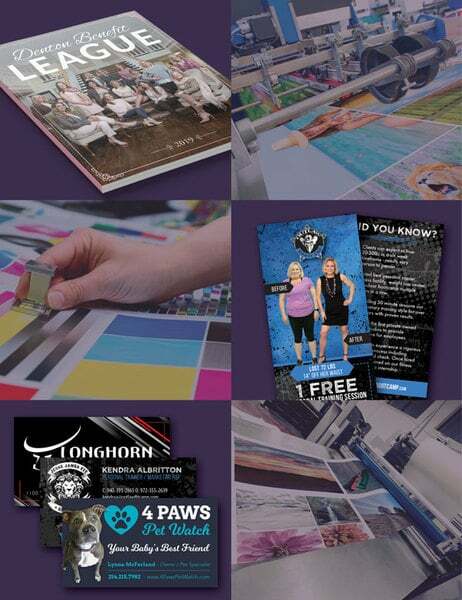 Call us today for help with your next printing and project!